By now, gamers know that Zen Studios is pretty darn good at making pinball tables. There are over 50 tables available for Zen Pinball 2, and plenty of them are based on licensed properties such as Marvel, South Park and even Star Wars. 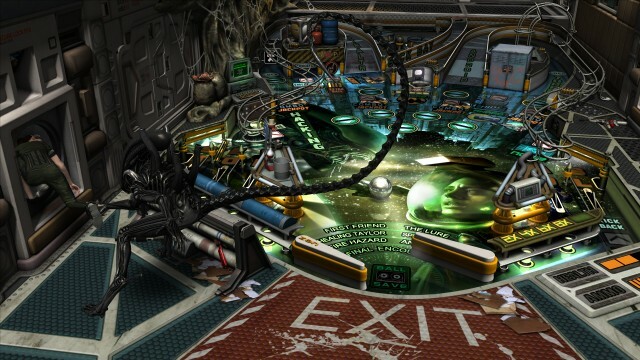 Now, the Hungarian studio is back with Aliens vs. Pinball, a set of 3 tables based off films in both the Alien series and the recent SEGA game, Alien: Isolation. Much like The Force Awakens table in the most recent Star Wars DLC, the table based on Aliens follows the film’s plot closely. In fact, before the game begins it asks the player if they want to be able to select the order that the missions play out in, or if they want to recreate the film. This is a really cool way to handle a table based off an established movie, and hopefully the studio keeps doing this for future outings. The table itself is filled with different ramps to hit and is quite fun to play. There’s even a mini-playfield in the top-right corner that tasks you with spelling Ripley (doing so will open up a jackpot). Like in the film, the in-game missions revolve around fighting off the Queen’s forces. This eventually culminates in a tense battle where players have to destroy the last few Xenomorph eggs. It’s totally awesome, and you even get to celebrate with a huge multi-ball afterwards. The second table is based off the crossover film Alien vs. Predator. This is one of the wildest tables Zen Studios has ever created and really takes advantage of the fact that this is pinball being played in video game form. That means the developers can experiment and do things that just wouldn’t be possible on an actual table. For example, one of the missions has Xenomorphs coming down from the ceiling, and the game actually flips the table around so you can combat them. Playing pinball upside-down is obviously a tough challenge, and they actually automatically trigger a ball save for the player, but it’s a very cool twist on perspective. Other missions will trigger the Predator’s thermal vision. It’s an awesome effect, and one of the highlights of the entire package. Fans of the franchise will know that thermal vision is a signature element of the Predator series and it’s great to see that Zen Studios took the time to implement it here. Taking down Xenomorphs while invisible (albeit in pinball form) is just plain fun and makes for another excellent table. Finally, the third table in Aliens vs. Pinball is based off Creative Assembly’s Alien: Isolation. Just like in the game, Ripley will need to hide from the Alien on board the ship. There are four different states that the Xenomorph can be in, and players can tell which one the creature is in by watching him on-screen. Sometimes he’ll be completely absent and away from the tables, and other times he’ll be actively searching for Ripley. There are a few different ways that Ripley can combat the Alien here. She can either hide in a cabinet, use a noisemaker to distract the Alien, or use a flamethrower to damage it. The latter will be difficult to pull off, though, as the flamethrower is only unlocked after completing several missions. Players will also need to find ammo for the weapons, which is done by hitting a specific part of the table multiple times. It’s great to see how effectively Zen Studios has made the Alien: Isolation table feel like an actual video game and not just a pinball table based off a game. You’ll be using stealth just like in SEGA’s hit title, and the sense of progression is a neat idea as well. It may be pretty difficult at times, but it’s one of the most rewarding pinball tables that Zen Studios has ever made. 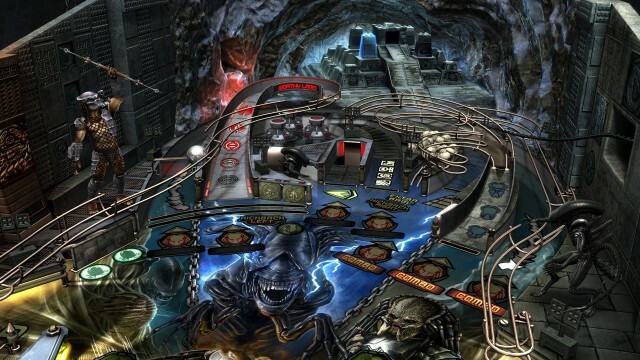 Aliens vs. Pinball is some of the developer’s best work yet. 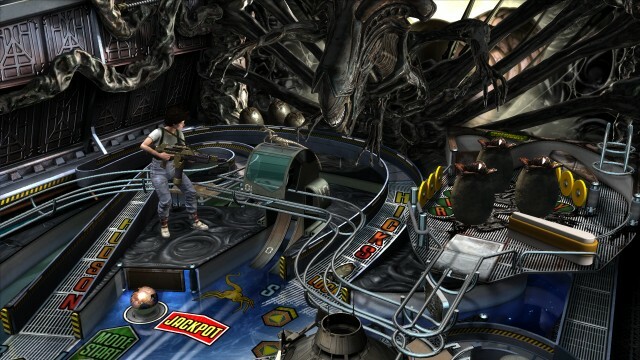 All three tables feel different from each other both in themes and play styles, and it’s a lot of fun getting to see a Xenomorph and Predator go at it while you play pinball. Whether you’re into the Alien franchise or just a fan of pinball in general, you can’t go wrong if you decide to pick this one up.